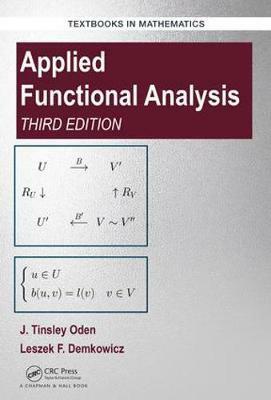 Applied Functional Analysis, Third Edition provides a solid mathematical foundation for the subject. It motivates students to study functional analysis by providing many contemporary applications and examples drawn from mechanics and science. This well-received textbook starts with a thorough introduction to modern mathematics before continuing with detailed coverage of linear algebra, Lebesque measure and integration theory, plus topology with metric spaces. The final two chapters provides readers with an in-depth look at the theory of Banach and Hilbert spaces before concluding with a brief introduction to Spectral Theory. The Third Edition is more accessible and promotes interest and motivation among students to prepare them for studying the mathematical aspects of numerical analysis and the mathematical theory of finite elements. des Palmes Academiques by the French government. the United States Association for Computational Mechanics (USACM).